Although David’s message ranges to all grade levels, he believes that the people that know the students best are the administrators and teachers that see them everyday. David’s approach is to discuss with the administrators some of the common core themes that the school is practicing so he can address the same positive subjects that the students see/hear every day in their school. David’s motivational school assembly will help your students and your school become a closer and more caring community and a school of belonging. David will talk about character, making right choices, responsibility, integrity, respect, hard work, and compassion, to name a few. David also makes himself available to speak to your student leaders whether in middle school or high school. He has also worked quite often with at-risk students, such as students that may need the message in a little stronger tone. David works with these students in an interactive session and in a smaller space. Throughout David’s presentation, he gains the trust and respect of the children with his humor, energy, and stories. He will teach the children to do three things…to reach, to respect, and to do. When David is able to use the same ideas and language that the teachers and counselors use, the message is reinforced and cemented in the children’s minds. Bring David Flood to your next student leadership event and your students will be thanking you for the rest of the year. Dignity and respect…challenges students to use these each day. Drug and alcohol awareness, prevention, and healthy choices. Bullying…how to overcome using coping skills and resiliency. Social media…the good, the bad, and the ugly. Leadership, character, & core values…no explanation needed here. Special needs children and their siblings…understanding what these children, their parents, and families go through. Your life is not about you. How to be a leader. Copyright 2016 David J. 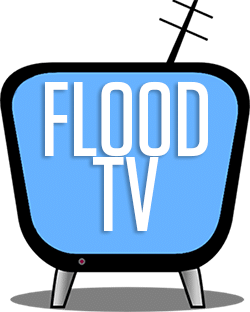 Flood | All Rights Reserved | Powered by Web Precision, Inc.